Those little things we do every day can often become our biggest financial weaknesses. Though a few dollars here and there doesn’t seem like much, it adds up fast. While not all the habits named here are necessarily bad habits, it’s important to think about whether you’re spending money because you need something or because it’s part of your routine. Check out these numbers for how much your habits are costing you annually in order to get a better grip on some ways to save money. It’s a deadly habit that many people are trying to kick. If you still smoke cigarettes and can’t seem to find the motivation to quit, here’s one angle you may not have considered: the massive annual cost. 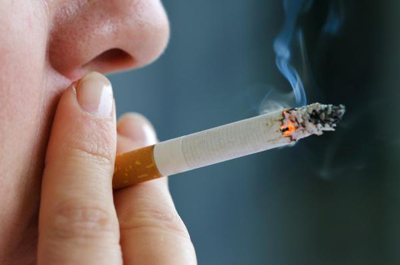 Sure, all smokers are well aware that the price of cigs has gone up in recent years, but it’s a whole different ballgame when you’re looking at the long term-effects on your financial health. Consider this: Those who stop smoking 2 packs a week can save over $8,000 in two years. And if you’re a heavy smoker, cutting out that pack-a-day habit could add up to nearly $30,000 in savings in a decade – or even more, considering that the cost of cigarettes is continuing to rise. That’s right – even if you’re just going out one night a week and having six or seven drinks, you’re still losing over $2,500 per year. And if you live in a major city or go to upscale bars where drinks tend to cost more, you’re looking at over $3,000 spent just on alcohol annually. Like alcohol, coffee can have some benefits for your health, especially if you’re not filling yours with sugar, cream or other fattening flavors. But it’s still smart to pay attention to your spending, especially if you’re in the habit of buying your coffee on-the-go every day. Keep in mind that these are the costs for just a single cup of coffee every day. Let’s say you drink 3 cups at home every day – now you’re up to $174 per year. For 2 coffees from Starbucks daily, $2,190 is the yearly total. These estimates are a great motivator for cutting back on coffee, or for choosing a cheaper option. If you switch from McDonald’s coffee to brewing grounds at home, for example, you can reduce your costs by almost 90%. If you’ve fallen out of the habit of bringing a lunch to work or making dinner each night, you may be eating more fast food than you should. This can be bad for your finances, to be sure, not to mention the detrimental effects on your health. Cutting out fast food is best for your wallet, but even cutting back can help. For example, if you go from 5 fast food meals per week to one Chipotle meal, you’ll save around $1,248 annually. Even if you fall into the least expensive category for each of the habits above, all of them combined would leave to a loss of almost $2,000 per year. Take steps to curb your spending by focusing on the money-spending habits you’ve formed over the years and you’ll see your savings increase.